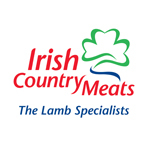 Description: Irish Country Meats (ICM) is one of Europe’s leading lamb processors with a reputation for product quality and innovation both in Ireland and in the broader European marketplace. Servicing 30 markets worldwide, we work closely with our customers to deliver expert end-to-end service. With headquarters and main production facilities in Camolin, Co Wexford, ICM has a further processing facility in Navan, Co Meath, as well as a European distribution hub through its Belgian subsidiary, A Lonhienne.